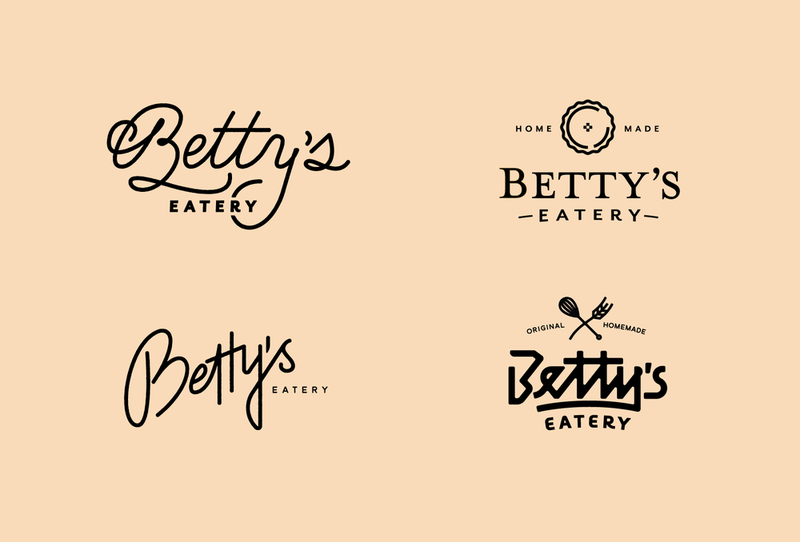 Betty's Eatery is now open in Mount Pleasant, South Carolina. I was super pumped from the start when Kelly Chu, owner of Circea Ice Cream, asked me to create the branding for her new restaurant. Their menu is designed with a taste that will remind you of grandmother's recipes. The identity needed to be friendly and a tad vintage to tie in with the antiques and photos hanging throughout the dining room. The identity needed to be friendly and a tad vintage to tie in with the antiques and photos hanging throughout the dining room. We made scripts and tried more of a bold and vintage badge look.